Do you really understand visionary planning? As a leader, can you clarify the difference between having a vision and having a plan? Vision is about the picture of your church’s future. A plan is about the steps to get there. Your eyes can focus on multiple horizons. As you are reading this document, look up and notice what is in your midground – a desk and chairs, other people? Now look to the background and note what you see. A window to look through or a bookshelf? The document itself and your arms and hands are in your foreground. Without moving your head, experience the ability to focus in and out of these three horizons going back and forth quickly. That’s called accommodation. It’s a natural reflex that is happening subconsciously all day long. But it’s also a voluntary process. You can consciously control it whenever you want, as you probably did while trying the exercise. What’s natural to your daily life can also be natural to your church’s organizational life. It is possible to use the three basic distances you are zooming in and out of all day long to build a visionary planning model. In fact, the primary reason for vision in human-body functions is to guide and direct movement. 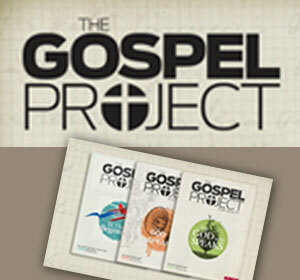 The same might be said of your visionary plan: it exists to guide and direct movement for the church body as a whole. The Horizon Storyline is a tool to develop the right amount of vision content for the right time in the future, for the entire leadership team. The breakthrough of the Horizon Storyline is the development of a planning tool that fits human experience. It’s natural to grasp, using the way we already see, think, and communicate. What if we could forever remove the “it’s just too complicated” barrier? What if your planning tool would intuitively and immediately make sense? What if it would actually be fun to revisit over and over again? The Horizon Storyline is defined by how we see different “horizons” in our field of vision every day. This idea is illustrated in a landscape painting, with the background far away as the eyes can see; a focal point of the piece in the midground that draws and keeps your focus; and an object in the foreground up close, right before your eyes. To start, we just carry over the simple idea of background, midground, and foreground using those as names for three of our four planning horizons. We will simply see them as horizons, not in three-dimensional space but into the future. They are time horizons. Here’s how it works. The near future we will define as ninety days away. That is the foreground vision. The next horizon, the midground vision, we define as one year away. 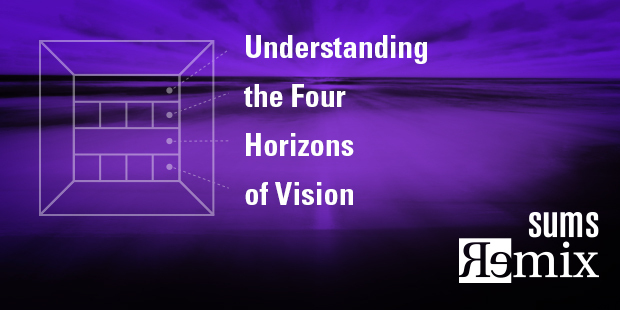 And the furthest horizon we can “see” as an organization is the background vision, defined as three years away. The eyes of your church or ministry should be able to “see” this amount of time into the future. Now that leaves one more horizon to define. This fourth horizon is just a little farther than you can clearly see. It’s just past your visible range. I call that “beyond the horizon” as a reminder that it is far away, just over the next mountain range, so to speak. I define this time frame as anywhere between five and twenty years depending on the church’s life stage and context. The horizons described above are extensions of the way your eyes naturally work. Right now think of at least one foreground, or short-term strategic horizon for your church. Something within the next 60-90 days. Now list one big thing you hope to accomplish in the next year. Finally, what is a big project, idea or task that you know will need to be tackled in the next few years of your leadership? Rate the connectedness and continuity between these strategic initiatives. Bring the team together and ask, what could be done to bring these three natural horizons of visionary planning into alignment? More energy. Greater resources. Better synergy. Would you like to have that right now at your church? Would you have guessed that the first step toward these improvements is defining your specific vision as a church? If you don’t have a clear vision, you certainly won’t have a culture that matches. And if you don’t have a strong culture, then what are people in your church really doing?